Posted on November 12, 2018, in Creationism, Philosophy, Religion and tagged Daniel, Documentary Hypothesis, Gilgamesh, Hammurabi, Maimonides, Marduk, Mordechai, Moses, Noah's flood, Sandars, Sargon, Utnapishtim. Bookmark the permalink. 24 Comments. My worry is that Creationists would ignore that . They need to see that Genesis was written in c1000BC in terms that were understoood THEN and is thus not science of today. Paul, you document well many other stories that may relate to the Biblical stories. I’m less convinced when you argue that the Bible stories must have been influenced by the other stories and that these other stories were even incorporated into the Biblical stories. First, you say, “Thus, placed in context, the Flood story fits into a picture of intellectual and spiritual ferment as people, and peoples, develop their descriptions of the Deity.” Isn’t the Bible pretty clear on the one single deity right from Genesis 1? Second, the recent discovery of Sodom in Jordan (see book by this name) supports the Biblical account in many aspects. And Sodom was destroyed about 1700 BC. Isn’t this an example of the truth being carried forward by 700 years until the time of Moses (1,000 BC) without being distorted by all the existing Sumerian stories and without being distorted by time? One could write volumes about the timing of the writing of Genesis, and whether it builds on earlier religions, but that’s not what this piece is about. My aims are more modest. I spell out the changing nature of Marduk-worship in Babylon at the time of maximum contact between Jews (as we can call them from Exile times onwards) and the other peoples of Mesopotamia, and present clear evidence of interaction between the account(s) of the flood in Genesis and the succession of flood stories in Sumeria, Assyria, and Babylonia. So I think my comments stand. I list detailed resemblances between the Gilgamesh and the Genesis accounts, and infer some kind of mutual influence, or influence from a shared source. Do you agree? Please give a fuller citation to the book you refer to. “Sodom in Jordan” got no hits on Amazon. I remember seeing controversy over the claim you refer to, and would welcome more specificity. For over-riding reasons to reject Mosaic authorship of Genesis, ad even to call into serious question the historicity of Moses and the earlier biblical patriarchs, see The Bible Unearthed, by Finkelstein and Silberman, directors of archaeological institutes at Tel Aviv University and at Belgium’s Ename Centre. In brief, the descriptions, place names, and titles in Exodus match those of around 700 BCE, not 1400 BCE,and there is no evidence outside Exodus and sources quoting Exodus either of the Plagues of Egypt or of the long migration of large numbers of people through Sinai. And, as I remarked, the Genesis Flood tok place at the height of the prosperity of the Egypt’s Old Kingdom, which doesn’t seem to have noticed it. I would greatly value your comments. What single deity? If one reads it, there are many deity scattered all over the area – essentially one per tribe. Good to hear about the book. Great, actually. As to approach, I’d be completely honest. Right off the bat, say there is nothing to support the biblical account, which will be explained in coming chapaters, and then cite Israeli rabbis confirming exactly that. I’ve interviewed many, and they are quite forthcoming. You can then perhaps piggyback a ride on Rabbi Wolpe who maintains his faith in the biblical god while easily dismissing the narrative. That then is the alternative; the door. They can still believe, but they have to adjust their belief, just as Wolpe has. Thanks. I’d welcome links to Wolpe and similar thinkers within Judaism. My personal involvement iwth Judaism petered out around 1960, but I have heard that over the past few decades even Orthodox rabbis (I mean real Orthodox, not the crazed Haredi radicals) have come to follow much the same line as you describe. And yes, in early 2012 Orthodox Rabbi Norman Solomon published his book, Torah from Heaven: The Reconstruction of Faith, in which he presented the case that the concept of Torah Mi Sinai (the claim that the Five Books of Moses were dictated by the god Yahweh to Moses on Sinai) was not rooted in reality but was rather a “foundation myth;” an origin dream, not a descriptive historical fact. The admission sent shockwaves through the Orthodox world not felt since the one-time candidate for Chief Rabbi of Britain, Rabi Louis Jacobs, contested the validity of Torah Mi Sinai by delicately suggesting that it was a “complex idea with textual, historical, and philosophical problems that needed to be addressed;” a seemingly benign statement, but one which ultimately cost him the position and standing in the Orthodox community. Fifty years later Solomon’s conclusions have drawn analogous and strikingly harsh criticism from influential Orthodox groups including the Vaad Harabonim, a cluster of Canada’s most prominent Orthodox rabbis, who publically denounced the British rabbi and accused him of ‘kefiroh baTorah’ [heresy]. In all, if the “owners” of the tale can be honest then that seems to be a way to sooth Creationists, to let them feel comfortable moving into territory that terrifies them. Oh, Paul, could you edit out the email addresses included. I should have sent you an email with them. They really shouldn’t be public. Ken Ham and co lying again about scientists believing there was a past ‘global flood’ on Mars. No. It was an ocean (probably over a large proportion of the planet) not a global flood (there for many millennia not 12 months). Lies again that if the Bible spoke of a past ‘global flood’ on Mars scientists would deny it. Pretends that there’s no difference between Earth and its history and Mars and its history – and therefore if scientists think there was a ‘global flood’ on Mars they ought to think there was on Earth (and recently too). But they refuse because they want to deny the Bible. However, Mars lost an atmosphere whereas Earth didn’t. 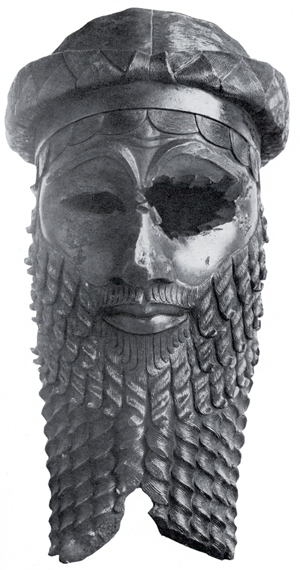 Sargon? Gilgamesh? That would mean they had to chuck the baby out with the Floodwater. Accepting antecedents to their myths would cause their literalist brains to fuse. If the individuals are “products of their time” in regards to slavery and their treatment of women, children, and the other, then why aren’t they products of their time in regards to what we would call science? I don’t think this argument will convince them because the various flood stories could have developed independently out of the same story instead of developing linearly from one to the next, even if that is unlikely. That leaves room for the Genesis story to be more faithful to the original (again, even if that is extremely unlikely). To me, the most convincing argument that a global flood didn’t hsppen is that it would require all the marsupials to migrate to Australia and South America and not stay anywhere else, while common animals in the rest of the world stay out of Australia. 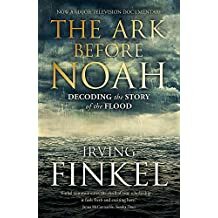 If all the animals on earth are descended from the ones on the ark, how did they end up distributed that way? And why? Penquins? What’s the problem? They’re just rather well adaptd members of the fish Kind. If we want to argue with Fundamentalists, we need to come from scripture, respect scripture, and argue from scripture. In a general writing or sermon, I would not go at a favorite story directly. Respecting scripture includes understanding why stories were told and adapted as they were. For example: when our children were surrounded by people who believed in many gods, we retold those great stories so our children would understand there is only one God. That is why Genesis 1:16 refers to greater light and lesser light, because back then, the names for the sun and moon were names of gods, and we couldn’t say those! It appears recordings of a few of my sermons are still on the clergyletterproject.org sermon page. Thanks. This accommodation is the approach is precisely what I am advocating. Indeed, I make the point that embedding the text in its historical and cultural context actually enriches it. What happened to the fundamentalist eventually, and can you remember what arguments he used, other than “But the Bible says…”? What denomination are you, in what kind of area, and what do your congregants think of all this? The Fundamentalist gave me respect when he was in my church, even following my rules in Bible studies. After that sermon, I believe he said things like, “Now, if you had said that creation did not take 6 days . . .” on several different points. But I had not attacked their favorite stories. There is a lot subtle in my sermons, such as referring to the second creation story in Genesis. Again, my aim is the general public, not creationists. My aim is to take down barriers between people and God, not make anyone feel stomped on. I am UCC, still ordained, but now working as a special education teacher. I spent 3 months teaching in Jamaica this spring/summer. I am no expert on US christian denominations, but from what I read, the UCC statement of faith is fully compatible with the scientific account. I like your reference to “the second creation story”. This does not state, but invites the hearer to discover, the idea that the only part of Genesis contains two separate intertwined, and if taken literally mutually exclusive, accounts. I assume that is your intent, and will steal this expression should occasion arise. According to Psalm 19, “the heavens proclaim the glory of God”. And indeed they do. The heavens proclaim a magnificent universe, 13.798 +/- 0.037 billion years old, full of microwave radiation, galaxies, clusters, stars, nebulae, and planets (1078 known to date); various and arresting and beautiful. At least one planet has life: 1.2 million cataloged species – far too many to have been discovered and named by one individual – varying from zebras to Sequoia to whales to gnats to Hallucigenia to Bdellovibrio to Sulfolobus. But even without life our planet is various and arresting and beautiful: crystals, lodestones, fluid turbulence, waterfalls, geysers, rainbows, clouds; 79 million cataloged chemical compounds, combinations of 92 naturally occurring elements, all made up of electrons, protons, and neutrons. Every day new scientific discoveries show that the glory we know at present is but a fraction of the full glory of God. Most of this glory is undescribed in the Bible, for the excellent reason that the several authors of the Bible didn’t know it. Realizing the limits of their understanding, these authors never claimed that “the Bible proclaims the glory of God” just as today we don’t claim that “Chemical Abstracts proclaims the glory of God”. If we limit our understanding of God to the understanding presented in the Bible, we shortchange ourselves, we shortchange the Bible, and we shortchange God. I have spent many years talking with creationists. What they want to hear is that their faith is intact, regardless of how old the Earth is, or the mechanism that God used to create life. A good starting point would be to show how one could accept the Apostles’ Creed, and still embrace science. Have you worked with a self-defined Fundamentalist who adheres to the Apostles’ Creed? Yes–most fundamentalists accept the basic tenets of the creed, but without accepting it as a governing document.